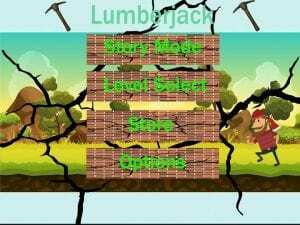 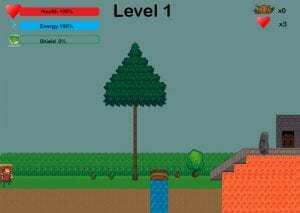 Here is my start screen and level 1 for my game lumberjack. The goal is to collect as much material as possible by getting through levels. 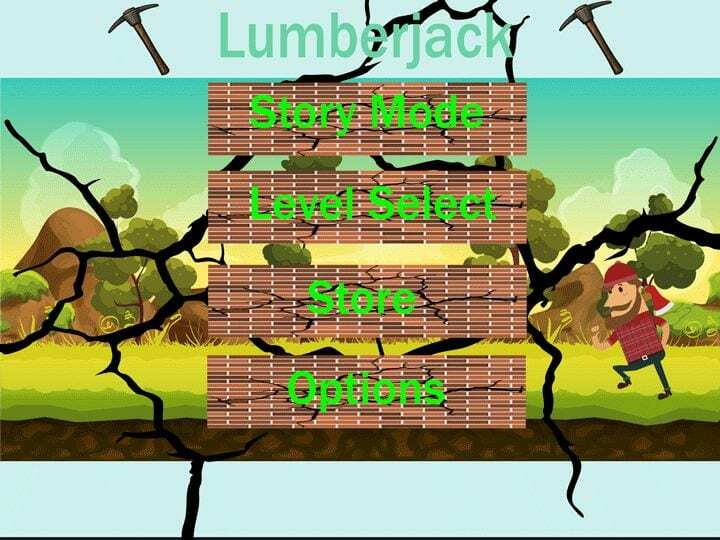 The more material you collect, the better items you can buy in the store.